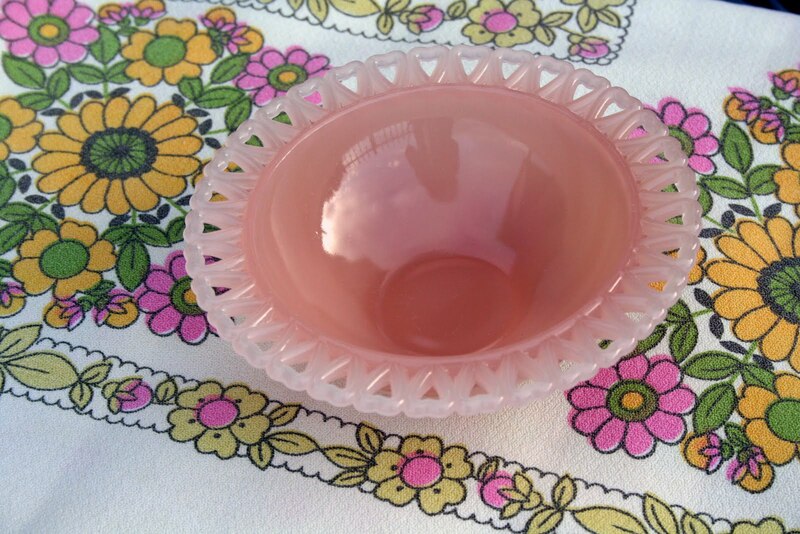 This pretty little dish was purchased yesterday. What is it about pretty little dishes wanting to come home with me? I love the hearts so much and the pretty coloured glass. Can anyone tell me anything about it??? 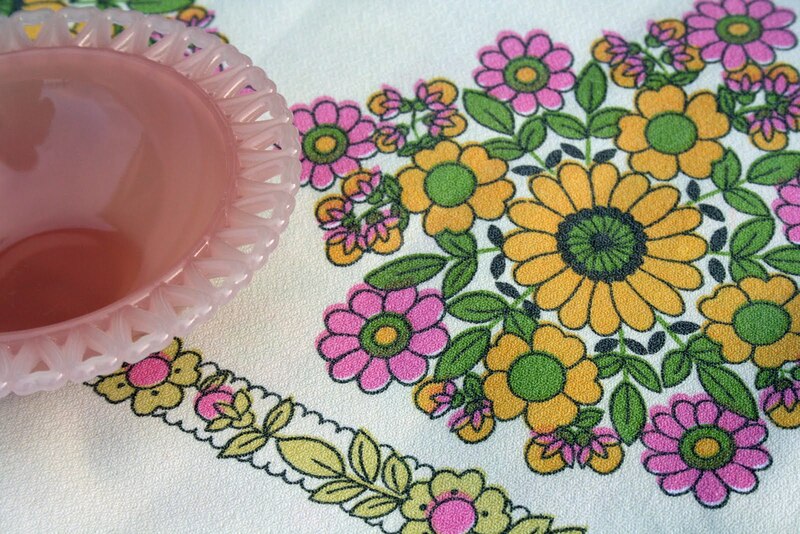 Sweet floral tablecloth, a recent find and a steal at $2. 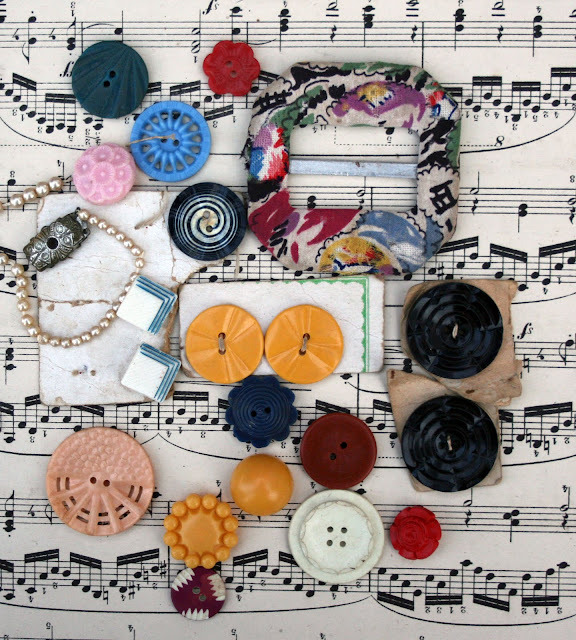 And of course, some more vintage buttons and some other quirky bits from Belles Buttons. As always, linking up with Sophie's Flea Market Finds. awesome buttons! and the dish is so pretty!!! Love that tablecloth and those buttons! My candlesticks have the same little heart design, but are white glass. I was going to describe it as milk glass. I had better so a bit of research...though your bowl looks quite milky as well. Your little pink bowl is very sweet. Excellent buy on the retro tablecloth, too. The button selection you have is just outstanding! So many beautiful buttons and such fun to view. Thanks for sharing. Thats the sweetest dish Lea....Im so glad it found its way home with you. love love love that little pink dish and tablecloth! i'm a complete sucker for florals! Pretty dish, but the tablecloth is my favorite!